Roxy is a gorgeous girl who needs a new home where she can continue her training and gain further in confidence. 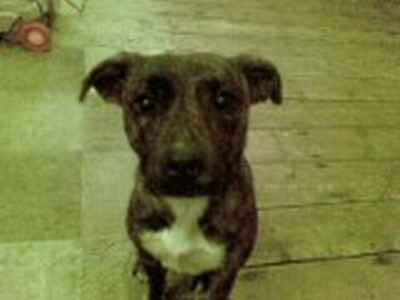 She is a Staffordshire Bull Terrier Cross, approximately 16-18 months of age. Roxy was very kindly taken in by a gentleman after he met her in his work as a dog trainer. 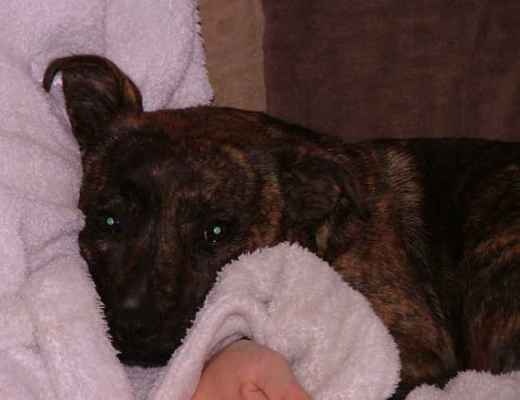 Her living conditions at the time were very unsuitable and he agreed to take Roxy home and rehome her. Roxy was offered a home which returned her after a short time due to changes in work hours and as a result he has asked for our help with rehoming. Roxy needs a stable, secure home, as her confidence has already been dented by the changes she has been through. Roxy has come on very well, but still has some training issues that will need continued work in a new home. 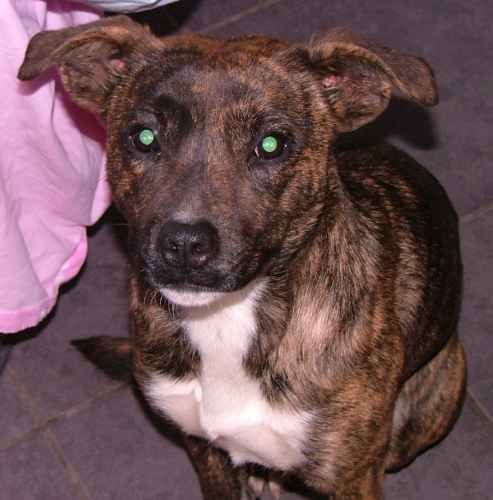 She is a bouncy and energetic girl, and thrives with TLC and both dog and human company. She responds well to training, but due to her past is very nervous of raised voices directed at her, so training needs to be very positive and reward based. Currently living with two other dogs Roxy would probably benefit from a home where she has the friendship of another dog, perhaps one a little older than her to show her the ropes. She already has some known commands, including sit and lie down, and her recall is very good with the use of a whistle. She does need more work with on lead walking however. Rosy is not destructive if left for a few hours, but no full-time working families please as Roxy does need to have someone around to help her settle and to continue her training. She is almost fully house-trained, but will have a little accident if she is nervous or frightened in some way. Roxy is very good with children, being used to young ones where she currently lives, although we would prefer to home with older children only please. She travels well in a car, loves playing ball and is happy to sleep in the kitchen at night with the company of the other dogs. Roxy can be a handful, with her natural exuberance and lust for life, so a family with previous dog owning experience is essential. We want to ensure that Roxy's new home is forever. Your garden MUST be secure, with fencing of at least 5 foot as Roxy is very agile and active. Fun Agility classes may be suitable for her in her new home. 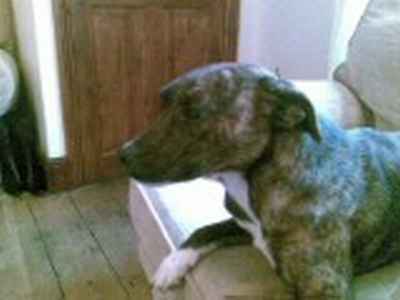 Roxy is spayed, vaccinated, wormed and microchipped. Anyone interested in homing Roxy needs to contact us or telephone Clare on 07929 478634 for an informal chat.